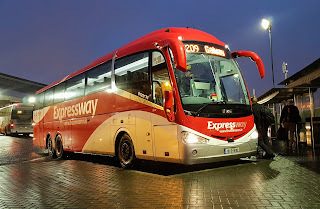 Bus Éireann have announced changes to the timetable, route and places served by route 20 / 20x, their service between Galway and Dublin. These changes are effective from Sunday, 29 July 2018, and the new timetable can be browsed here now. Overall there are two extra buses each day, Dublin airport is comes after the city centre, and some towns and villages are no longer served by this bus. There are two extra buses each day in each direction. All Dublin to Galway services start at the airport, and pick up from Busarus (ie Dublin city bus station) approx 30 minutes later. All Galway to Dublin services stop in Bublin city at Custom House Quay - close to but not right at Busarus. Expected journey time is reduced by about 10 minutes (however it's increased for people travelling to Dublin airport). All buses on the route stop at GMIT, Loughrea, Aughrim, Portincula Hospital, Ballinasloe, Athlone, Athlone IT, Heuston Station and Dublin city. Every third bus (overall) also stops at Craughwell, Moate, Kilbeggan, Kinnegad, Enfield and Maynooth. Route 20 buses will no longer stop at Oranmore, Derrydonnell, Kilreekil / Kilrickle, Creagh (Dubarty factory), Ballydangan, Horseleap, Tyrellspass, Rochfortbridge, Milltownpass, Clonard, Moyvalley or Lucan. See www.a-b.ie to search for alternative services for the towns and villages which will no longer be served by Bus Éireann route 20. Some alternatives are provided by CityLink and BusLink. 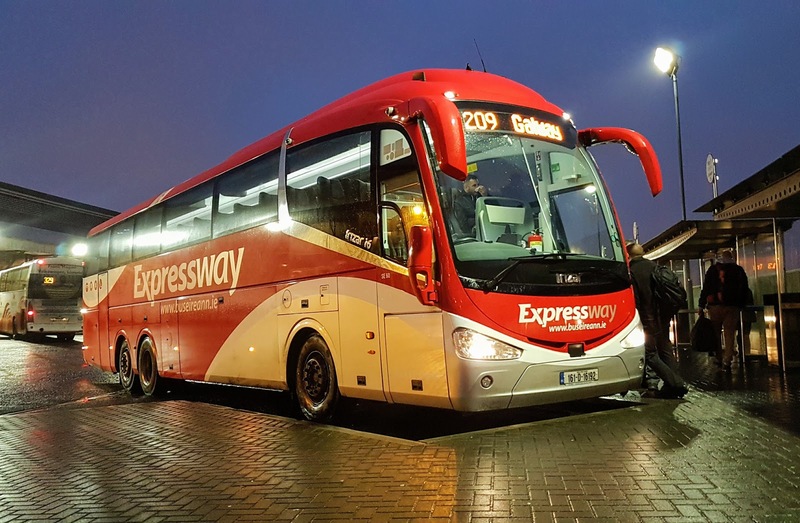 See East Galway regional bus services for an overview other services in the area.